Contractor mechanics failed to follow proper maintenance procedures leading to the contamination of the oxygen system on an Air Force VC-25A aircraft undergoing regular heavy maintenance, according to an Accident Investigation Board report compiled by Air Force Materiel Command. The contamination occurred in April 2016 while the plane was at Boeing’s Port San Antonio facility in Texas. The mishap resulted in approximately $4 million in damage, which Boeing repaired at its own expense. 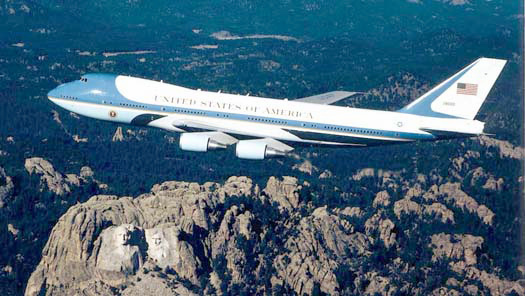 The VC-25A, one of two specially configured Boeing 747-200B aircraft, is flown by the 89th Airlift Wing at Joint Base Andrews, Md., and is used to transport the President. When the President is on board, the plane is referred to as Air Force One. According to the report, three Boeing mechanics contaminated the aircraft’s oxygen system by using tools, parts, and components that did not comply with cleanliness standards while checking oxygen lines for leaks. The contamination was discovered after an unapproved regulator was found connected to the passenger oxygen system. 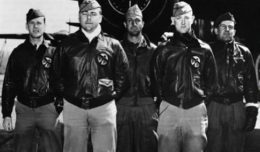 The report also identified other contributing factors to the mishap, including the failure of a Boeing maintenance technician to observe explicit cautions and warnings when working on oxygen systems, Boeing’s failure to exercise adequate oversight of the quality of maintenance being performed on the VC-25, and the failure of mechanics to “absorb and retain” training received on oxygen systems. Gen. Ellen M. Pawlikowski, Air Force Materiel Command commander, convened the AIB. Brig. Gen. Carl Buhler was the AIB president. The primary purpose of the board was to investigate the cause and substantially contributing factors of the mishap and provide a publicly releasable report of the facts and circumstances surrounding the incident. The executive summary of the report is available at https://media.defense.gov/2017/May/09/2001744177/-1/-1/1/AFD-170509-335-001.PDF.